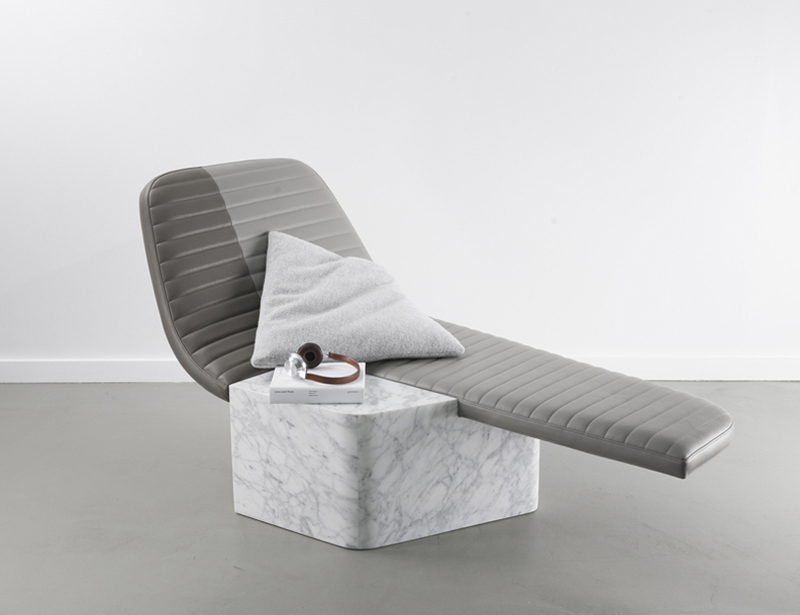 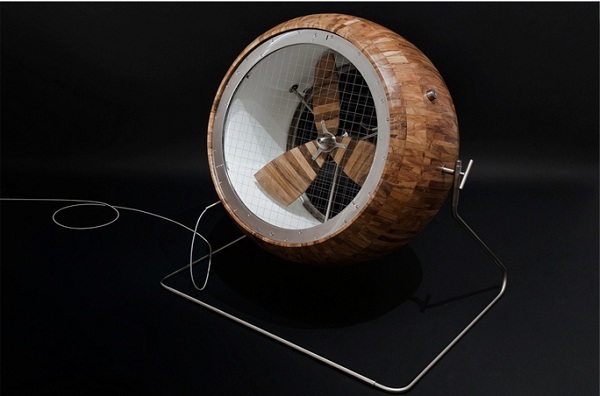 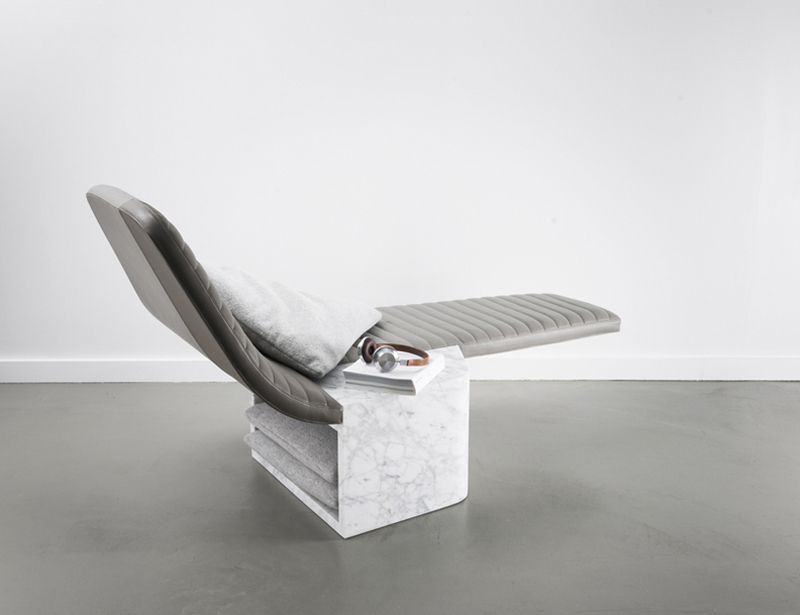 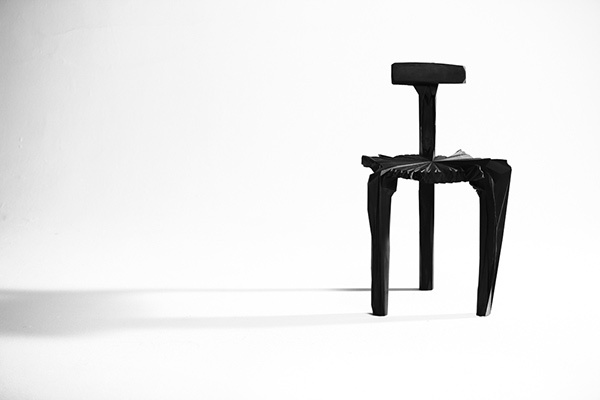 French designer Grégoire De Lafforest has created the “Lounge Chair Opper” for Galerie Gosserez in Paris. 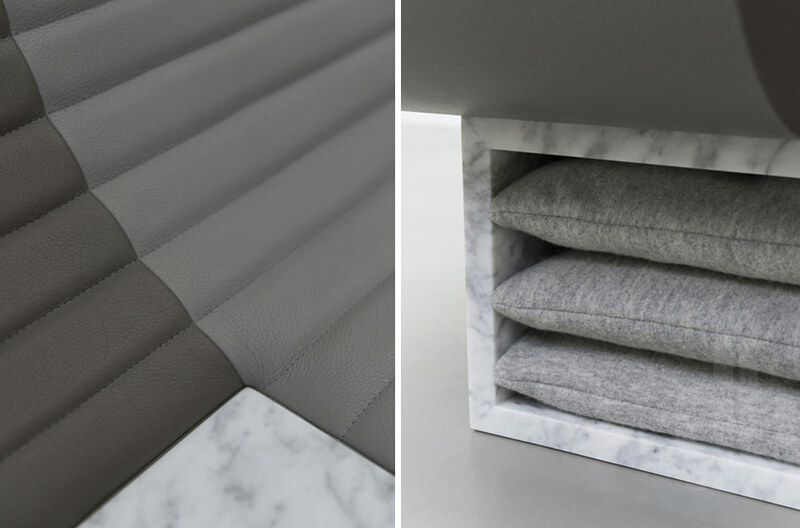 Influenced by motorcycle saddles from the ’70s, the quilted surface of the chair’s upholstery highlights the contrast between the light density of the soft foam and the stiffness of its positioned axis. 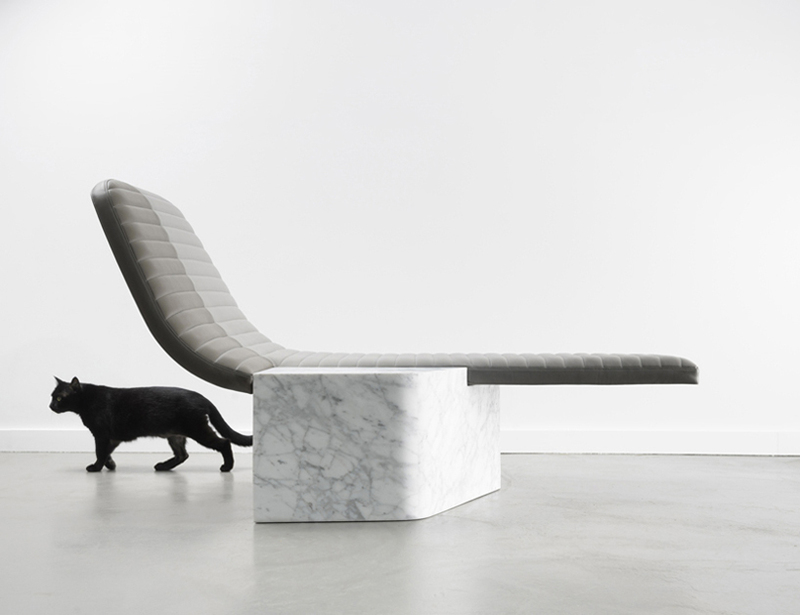 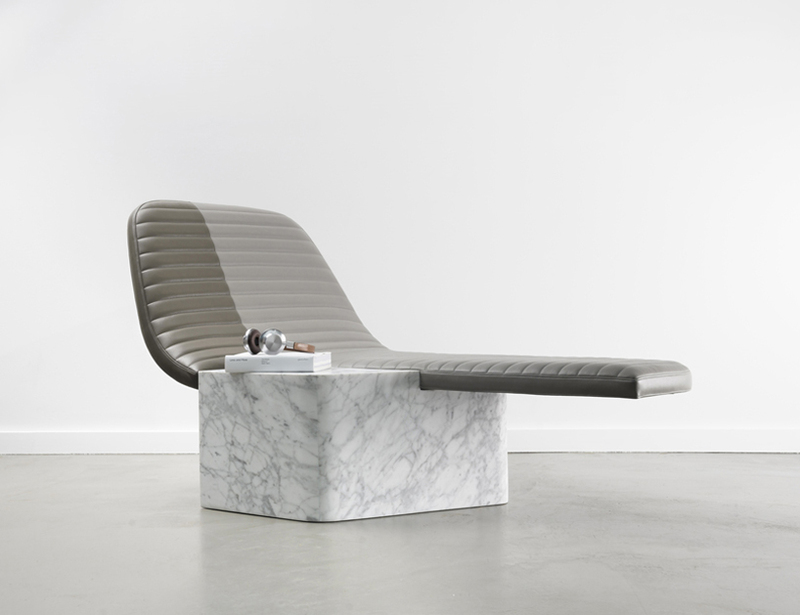 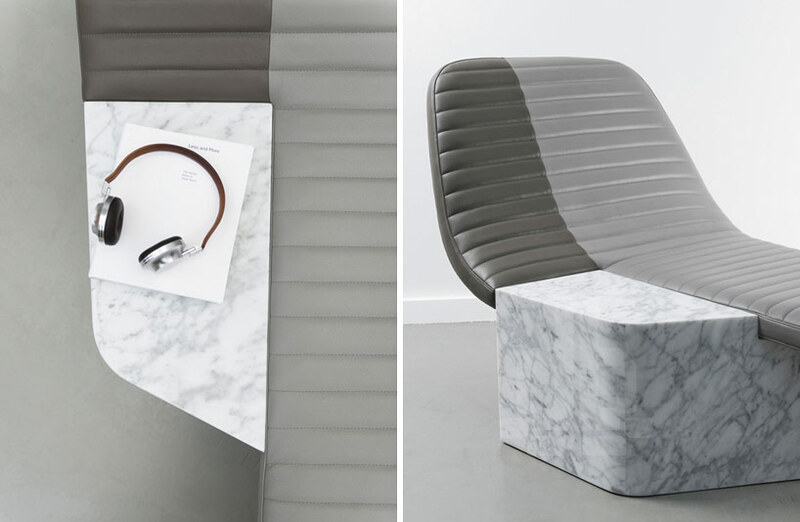 Combining the two elements, the marble base connects to the high back seat, functioning also as a convenient table.